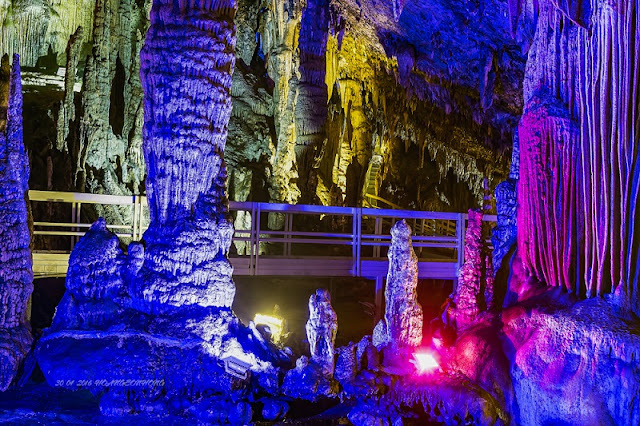 Lung Khuy Cave with exotic stalactites in shape on the ceiling and cliffs for million of years attracts any tourist visit Ha Giang. Lung Khuy Cave which is evaluated as the most beautiful cave with geomorphology, geological and stalactites for million of years , is detected in 2015. It’s away from Tam Son town, Quan Ba district (Ha Giang) about 10km. From the car park, tourists have to go along the way around the mountain about 1km, which is fixed and equipped the stone steps to reach the gate of the cave. On the way, you can see many houses of the ethnic minorities. 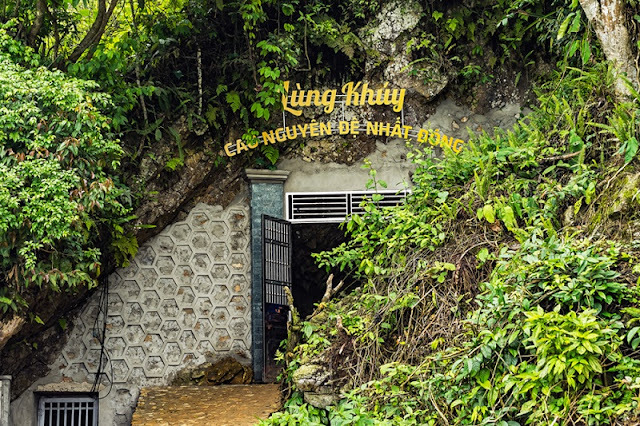 On the grand opening day 31/12/2015, many tourists flock to admire the greatest cave of Ha Giang. With the long of 300m, the cave has many difference aisles, splendid pristine stalactites, which create the rare beauty of the plateau. The deeper you get in, the more kinds of stalactites for million years you can admire. 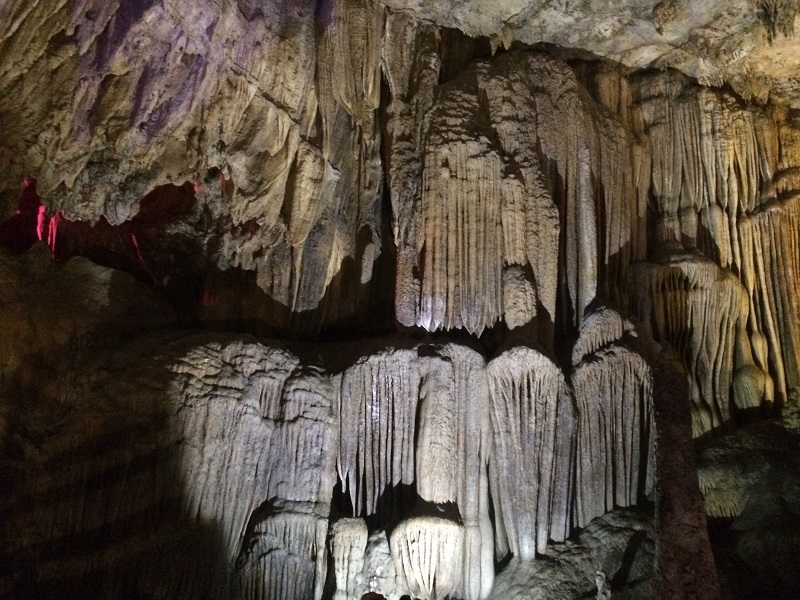 The stalactites are specially arranged like the flowers or towers make the tourists be very interested. On the first opening day, hundred of tourists admired the natural beauty of the natural stalactites formed stone columns, the lion heads or the streams which never dry. With the systems of lights and stairs, you can easily discover the gold and iridescent stalactites and take some memorial photos.